Intramuscular lipomas can be deep and large with an infiltrating growth pattern; hence, they are sometimes also referred to as infiltrating lipomas. They generally involve large muscles of the thigh, shoulder and upper arm in adults. They are slow-growing and painless. 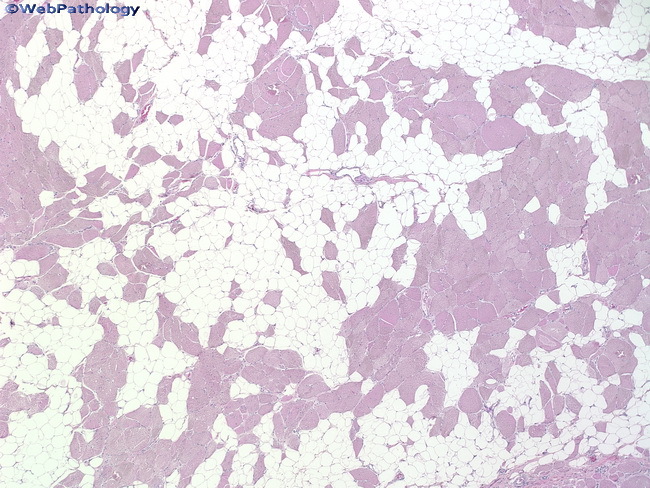 The image shows mature fat cells diffusely infiltrating skeletal muscle.